This is — without a doubt — the longest blog post I have ever written — and hopefully to ever write as it nearly destroyed me 😉 — so will distill the main points in this TL;DR synopsis. Moreover, this is the same paradigm found in Web Forms for Marketers (WFFM) for some of its parts (Save Actions are an example). Get the fully qualified type name string out of a field of an Item. Resolve the Type from the string from #1. Try to find the Type in the Sitecore IoC container using Service Locator (before whinging about using Service Locator for this, keep in mind that it would be impossible to inject everything from the IoC container into a class instance’s constructor in order to find it). If found, return to the caller. Otherwise, proceed to #4. Create an instance of the Type using Reflection. Return the result to the caller. Most of the code in the solution that follows are classes which serve as custom pipeline processors for 5 custom pipelines. Pipelines in Sitecore — each being an embodiment of the chain-of-responsibility pattern — are extremely flexible and extendable, hence the reason for going with this approach. I plan on putting this solution up on GitHub in coming days (or weeks depending on timing) so it is more easily digestible than in a blost post. For now, Just have a scan of the code below. Note: This solution is just a Proof of concept (PoC). I have not rigorously tested this solution; have no idea what its performance is nor the performance impact it may have; and definitely will not be held responsible if something goes wrong if you decided to use this code in any of your solutions. Use at your own risk! Now that we have that out of the way, let’s jump right into it. The Execute() method on all pipeline processors will only run when the processor’s CanProcess() method returns true. Also, pipeline processors have the ability to abort the pipeline where they are called. Each service class will “resolve” a particular thing with arguments passed to their Resolve() method — these service class’ Resolve() method will take in a TArguments type which serves as the input arguments for it. They will then delegate to a pipeline via the RunPipeline() method to do the resolving. Each will also parse the results returned by the pipeline via the GetObject() method. Moving forward in this post, I will group each resolving pipeline with their service classes under a <pipeline name /> section. The resolution of an Item will be done by a collection of IItemResolver instances — these are defined further down in this post — which ultimately do the resolution of the Item. It just creates argument types for the pipeline and service classes. The instance of the class above will return a Sitecore Item if a Database and Item path (this can be an Item ID) are supplied via the ItemResolverArguments instance passed to its Reolve() method. In the above class, I’m injecting the IDatabaseItemResolver instance — this was shown further up in this post — into the constructor of this class, and then adding it to the collection of resolvers. The class above just iterates over all IItemResolver instances on the PipelineArgs instance; passes an ItemResolverArguments instance the Resolve() method on each — the ItemResolverArguments instance is created from a factory — and returns the first Item found by one of the IItemResolver instances. If none were found, null is returned. Now, we need to create a service class that calls the custom pipeline. I created the following class to act as a settings class for the service. An instance of this class will be injected into the service — the instance is created by the Sitecore Configuration Factory — and its ResolveItemPipelineName property will contain a value from Sitecore Configuration (see the Sitecore patch configuration file towards the bottom of this blog post). The above class subclasses the abstract PipelineObjectResolver class I had shown further above in this post. Most of the magic happens in that base class — for those interested in design patterns, this is an example of the Template Method pattern if you did not know — and all subsequent custom pipeline wrapping service classes will follow this same pattern. I’m not going to go much into detail on the above class as it should be self-evident on what’s happening after looking at the PipelineObjectResolver further up in this post. I then started code for the next pipeline — a pipeline to resolve Types. I’m not going to discuss much on the class above — it just creates instances of TypeResolverArguments and ResolveTypeArgs based on a variety of things provided to each method. In the class above, I’m injecting an instance of a IItemResolverService into its constructor, and setting it on the ItemResolver property of the ResolveTypeArgs instance. Does this IItemResolverService interface look familiar? It should as it’s the IItemResolverService defined further up in this post which calls the <resolveItem /> pipeline. The class above just delegates to the IItemResolver instance on the ResolveTypeArgs instance to resolve the Item. The class above just gets the value from the field where the fully qualified type is defined — the name of the field where the fully qualified type name is defined should be set by the caller of this pipeline. The class above also creates objects via the ReflectionUtil static class with a passed type and constructor arguments — this will be used in the <createObject /> pipeline further down in this post. The class above just delegates to the IReflectionUtilService to get the Type with the supplied fully qualified type name. There isn’t much going on in the class above. The Execute() method just adds the IReflectionTypeResolver to the TypeResolvers collection. The AddTypeToCache() method does exactly what the method name says — it will add the supplied Type to cache with the provided type name as the key into the ConcurrentDictionary dictionary on this class. The GetTypeFromCache() method above tries to get a Type from the ConcurrentDictionary instance on this class, and returns to the caller if it was found. If it wasn’t found, null is returned. There isn’t much going on in the class above except the injection of the ITypeCacher instance defined further up, and setting that instance on the ResolveTypeArgs instance if it hasn’t already been set. Just as I had done in the <resolveItem /> pipeline further up in this post, the above processor class will iterate over a collection of “resolvers” on the PipelineArgs instance — in this case it’s the TypeResolvers — and pass an arguments instance to each’s Resolve() method. This arguments instance is created from a factory defined further up in this post. 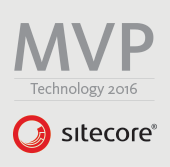 The value on the ResolveTypePipelineName property will come from the Sitecore patch file towards the bottom of this post. I’m not going to go into details about the class above as it’s just like the other service class which wraps the <resolveItem /> defined further above in this post. The above class implements the interface above. It just creates arguments for both the pipeline and service classes. In the class above, I’m injecting the ITypeResolverService into its constructor — this is the service class that wraps the <resolveType /> pipeline defined further up — and set it on the LocateObjectArgs instance if it’s not already set. In the class above, I’m just passing a type to the System.IServiceProvider’s GetService() method — the IServiceProvider instance is grabbed from the ServiceProvider static member on Sitecore.DependencyInjection.ServiceLocator static class. It’s just adding the IServiceProviderLocator instance to the collection of Locators set on the LocateObjectArgs instance. As I had done in the previous pipelines, I’m just iterating over a collection of classes that “resolve” for a particular thing — here I’m iterating over all IObjectLocator instances set on the LocateObjectArgs instance. If one of them find the object we are looking for, we just set it on the LocateObjectArgs instance. An instance of the class above will be created by the Sitecore Configuration Factory, and its LocateObjectPipelineName property will contain a value defined in the Sitecore patch file further down in this post. I’m not going talk much about the class above — it’s following the same pattern as the other classes that wrap their respective pipelines. So what happens when we cannot find an object via the <locateObject /> pipeline? Well, let’s create it. The class above just creates CreateObjectArgs and ObjectCreatorArguments instances. Let’s jump into the bits that comprise the new pipeline. Nothing special going on — we’ve seen something like this before further up in this post. I’m not going to discuss much on this as we’ve already seen something like this further up in this post. This class above just delegates to the IReflectionUtilService instance — this is defined way up above in this post — injected into it for creating objects. We are just adding the IReflectionObjectCreator instance to the Creators collection on the CreateObjectArgs instance. The above class just iterates over the IObjectCreator collection on the CreateObjectArgs instance, and tries to create an object using each. The IObjectCreatorArgumentsFactory instance assists in creating the ObjectCreatorArguments instance from the CreateObjectArgs instance so it can make such calls on each IObjectCreator instance. If an object is created from one them, it just uses that and stops the iteration. It’s just setting the injected ITypeCacher — the implementation class is defined further up in this post — on the CreateObjectArgs instance. It should be self-explanatory what’s happening here. If not, please drop a comment below. An instance of this class is created by the Sitecore Configuration Factory just as the other ones in this post are. I’m not going to go into details on the above as you have seen this pattern further above in this post. The class above just sets the IObjectLocatorService — this is the service class which wraps the <locateObject /> pipeline defined further up in this post — on the ResolveObjectArgs instance. The above class just tries to “locate” the object using the ObjectLocator set on the ResolveObjectArgs instance. The class above just sets the IObjectCreatorService — this is the service class which wraps the <createObject /> pipeline defined further up in this post — on the ResolveObjectArgs instance. An instance of the above is created by the Sitecore Configuration Factory. In my next post, I will be using the entire system above for resolving custom Forms Submit Actions from the Sitecore IoC container. Stay tuned for that post. On closing, I would like to mention that the system above could be used for resolving types from the Sitecore IoC container for WFFM but this is something that I will not investigate. If you happen to get this to work on WFFM, please share in a comment below. Until next time, keep on Sitecoring. By Mike Reynolds in Chain-of-responsibility pattern, Configuration, Configuration Factory, Customization, Dependency Injection, Design Patterns, Experience Forms, Factory method, Fields, Items, Pipeline, Processors, Sitecore, Template method pattern, Web Forms for Marketers on 05/28/2018 .